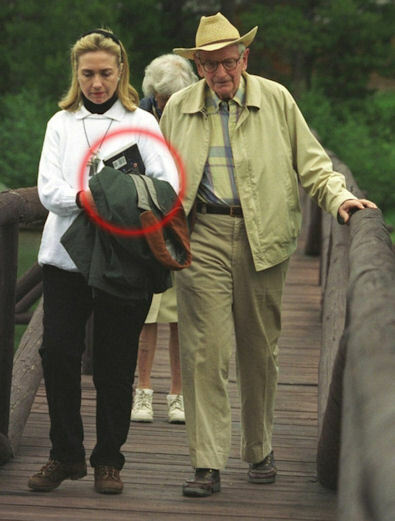 It is well known that Hillary Clinton's Campaign Manager, John Podesta, has more than a passing interest in Ufology (1). He has gone on record calling for UFO disclosure, and arguing that the American people can handle the truth (2). in the run-up to the U.S. Presidential election, WikiLeaks has made public thousands of Mrs. Clinton's emails, including emails from Mr Podesta. Some of these emails contain references to UFOs and/or aliens, although it has been noted that some of these are simply chance references by association, or to make a point (3). Nevertheless, given John Podesta's clear interest in the subject, some of these emails likely genuinely reflect his interest in UFOs and the possible existence of extra-terrestrial life. As we shall see, Hillary Clinton appears to share this unusual passion, and so arguably is likely to be 'in the loop' with her campaign manager's personal interest in UFOs and related subjects. 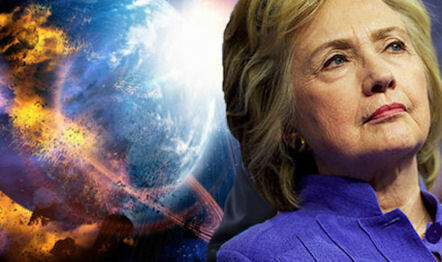 One of the emails from Mr Podesta to Mrs Clinton, sent 7th September 2014, originated from a correspondent, named Don Smalter, arguing that global warming could be attributable to Planet X/Nibiru (4), and warning of a possible "near-term worldwide cataclysm ahead" (5). This appears to have been a generic email routinely sent out by campaigner Mr Smalter, which ended up in Hillary Clinton's inbox (5). There is some hard-to-verify material currently circulating that future Russian disclosure about Planet X/Nibiru hangs on the outcome of the Presidential election. Some claim, without providing any evidence I can see to back this up, that Russian President Putin is planning to provide disclosure about Planet X/Nibiru in the event that Trump loses the election (8). My efforts to authenticate the original Pravda article failed, most likely because such an article does not in fact exist, and was entirely made up by the 'reasonably accurate source' relied upon by 'Somebones' for his contentious article (8). Such tell-tale lack of verifiable sources didn't stop this story from spreading over to the British tabloid press (9,10). Conspiracy theory seems to be the order of the day in the U.S. political sphere at present, largely due to Trump's extraordinary collection of claims. But that doesn't mean this is all smoke and mirrors. "The [UFO] movement viewed Mrs. Clinton’s decision to correct Mr. [Jimmy] Kimmel’s use of the term U.F.O., which some view as loaded and rooted more in science fiction than in science, as a breakthrough because it “suggested she’d been briefed by someone and is not just being flippant,” Mr. Buchman said. All of this would seem to make the possibility of a genuine private exchange between Hillary Clinton and her campaign manager on the subject of Nibiru rather more plausible than you might have thought. Niku, Drac and L91 Perturbed by Planet Nine...or Something Else? 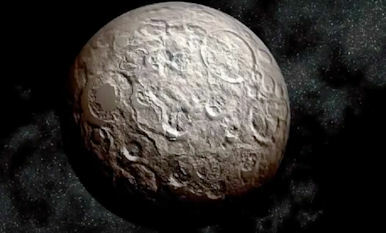 The discovery of the unusual highly inclined Trans-Neptunian Object Niku was announced in August (3), whose unusual orbital path is similar to 2008 KV42, nick-named Drac for its ability to climb walls (4). The Caltech astronomers, who are currently hunting for the elusive Planet Nine (5), have just published some dynamical calculations to demonstrate a theoretical pathway leading to the currently observed anomalous orbits of these enigmatic objects. Prior to the speculation about the existence of Planet Nine, it was thought that the two retrograde objects must have originally arisen in the inner Oort Cloud and are following a journey of gentle orbital flux which will eventually turn them into Halley-comet like objects (6). This would appear to be the case with a new object, unofficially named L91, whose anomalous properties were also described publically for the first time today, (7). The distant object, which has a 20,000 year orbit, was first discovered back in 2013 by the Outer Solar System Origins Survey. Although its size and mass are not yet known, its orbit is truly expansive, and sits almost in the same plane as the planets. "L91’s elliptical orbit never brings its closer to Earth than about 50 times the Earth–Sun distance (or 50 astronomical units, au). At its farthest, the object is 1,430 au away. That means its orbit is more stretched out, and centred farther from the Sun, than previously discovered worlds such as Sedna and 2012 VP113. But the Caltech astronomers think otherwise, and consider these three objects to be yet more evidence for the existence of Planet Nine. There is a healthy scientific debate going on here about the possible perturbing influences that are shepherding these distant scattered objects. Possibilities include galactic tidal forces, passing stars and undiscovered planets of various sizes lurking unseen in the outer solar system. As one might imagine, astronomers have different opinions, and often find themselves drawn to particular pet theories. Sometimes science sees conviction turn to belief. Currently, in the one corner we have the Caltech team, and in the other the OSSOS team. Two cases in point are two areas of research already described in previous editions of this blog, but which were more publicly aired to journalists at the conference. The first was the anomaly of the Sun's tilt (9); the second the apparent integer ratio relationship between the orbits of several extended Kuiper Belt Objects, implying orbital resonances with an as yet unidentified giant planet (10, 11). In the end, only the amassing data will provide us with the real truth, and as more of these objects are discovered and catalogued (exponentially), that truth draws rapidly closer. My bet is one something bigger and further out than Mike Brown's Planet Nine. L91 might be one of the first clues pointing to the distant perturbing influence of a highly elliptical planetary object which, at its furthest reach, brushes the very fringes of the inner Oort Cloud - an object I described in these terms over ten years ago (12). Astronomers have announced the discovery of the third most distant object in the solar system, designated 2014 UZ224 (1). 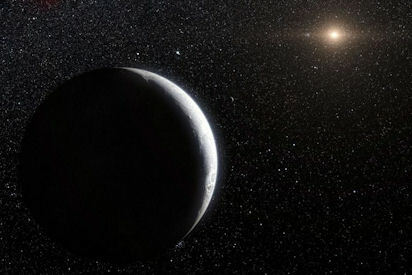 At a distance of 91.6AU, it is pipped to the title of 'most distant solar system object' by V774104 at 103AU (2), followed by the binary dwarf planet Eris at 96.2AU(3). The new scattered disk object lies approximately three times the distance of Pluto away, and may be over 1000km in diameter - potentially putting it into the dwarf planet range. Its 1140 year orbit is notably eccentric, which is becoming more expected than otherwise with this category of trans-Neptunian object. It's a shame that data about this this object wasn't released sooner, even if that had meant its orbital properties were more vague. 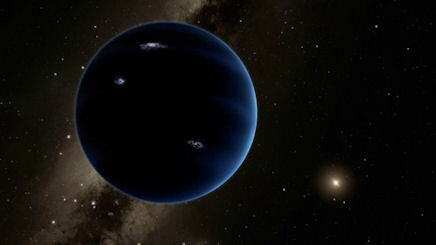 Speculation is already rife within the planetary science internet community that 2014 UZ224 is a contender for the Planet Nine-perturbed cluster of scattered disk objects (5), enhancing the indirect evidence for a sizeable distant Planet X object still further. Mike Brown pointed out this early conjecture on his Twitter feed (6), which gives its some credibility, but I suspect we need to wait for some of the astrophysical dynamicists to churn out the data to see if that's in fact the case. A student project. A certain degree of trivialisation is evident in these remarks! Given the controversy that often surrounds the Planet X subject, perhaps that is understandable. On the plus side, there appear to be a number of other objects picked up by their Dark Energy Survey, the details of which have yet to be published. Hopefully, they will be soon. Discoveries of other distant Trans-Neptunian Objects have been published on much less information than 2014 UZ224. A good example is the most distant known solar system object, discussed above: V774104. Very little data is available about this object, as its 'observation arc' was only a matter of weeks. We are overdue more data on V774104, which might firm up its orbit, and whether it qualifies as a 'sednoid' (8). Hopefully, that will be published soon, by Drs Sheppard and Trujillo, as the observation arc for V774104 goes past the one year mark. In the meantime, they may see their tentative record for the solar system's most distant object surpassed by another Dark Energy Survey discovery. In August, I reported on rumours swirling around that an exoplanet had been discovered orbiting around our nearest stellar neighbour, the red dwarf Proxima Centauri (1). These rumours were soon confirmed (2), although the excitement was tempered by initial calculations suggesting that this world was likely to be cold with a surface temperature at a frigid -40 Celsius (3). So, there were initial hopes of a sub-surface ocean, at least, capped over by a global ice-sheet. No one's actually imaged Proxima B directly, so a lot of this is supposition, based upon the heat output of the red dwarf itself, and Proxima b's distance from it. A new press release, made by scientists from France's CNRS research institute (le Centre National de la Recherche Scientifique), shifts the temperature of this nearby exoplanet into more pleasant, potentially habitable territory (4). 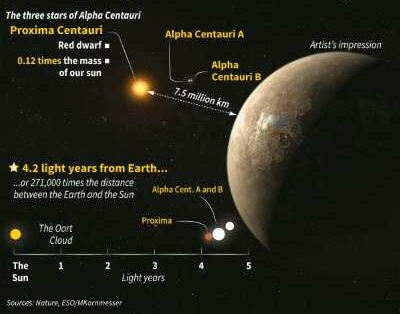 The computer simulations underpinning these claims are themselves built upon assumptions, of course - in this case, that the material composition of the Proxima Centauri system is similar to our our system (5). This gave the French researchers a range of values for the radius of Proxima b. At one end of this range, the exoplanet might be a dense, rocky affair with a considerable metal core, similar to Mercury. 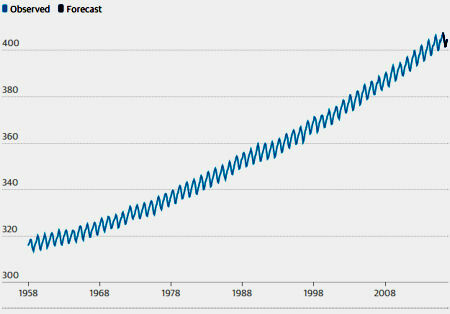 Even so, there would be in this case the potential for a 0.05% surface water ocean (4). This is somewhat more than Earth's, and with an accompanying atmosphere, the planet would enjoy reasonable temperatures. At the other end of the range, Proxima B is almost half as wide again as Earth, but with a substantially higher water component. In this instance, the oceans surrounding Proxima b would be up to 200km deep. Again, argue the French researchers, a more watery Proxima b would exhibit a buffering atmosphere. So, within this range is an Earth-like world, making Proxima b a prime candidate for the search for extraterrestrial life. Again, this demonstrates the increasing importance of dwarf stars in the hunt for extraterrestrial life, showing that many of the theoretical barriers that once stood in their way are rapidly being discarded by astronomers. I was listening to the BBC radio the other day, and there was a discussion with a scientist about how the rising carbon dioxide level in the Earth's atmosphere was driving global warming. 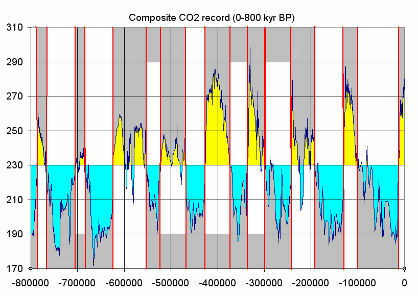 She compared the current mean level of over 400 parts per million to that during the last glacial period, of about 240 ppm, as a contributing factor towards the receding ice caps, and other global warming effects - one of several factors which also included orbital cycles, which could lead to glacial periods. The interviewer asked whether this raised CO2 level was in effect preventing the onset of a new Ice Age. Good question! the scientist seemed to get quite uncomfortable at this point, almost appearing to laugh the question off. Her answer was that we were not able to tell what the future would bring over these kinds of long time periods of 10s of thousands of years. There have been times when the threat of this kind of transition seemed only too real. Another factor is the Sun's own cycles, which directly affect the amount of warming irradiation the Earth receives. One particularly cold patch in the 17th Century, during the 'Little Ice Age', is a case in point. It was at this point when the Sun reached the Maunder Minimum, a period of very low sunspot activity, culminating in the freezing over of major European rivers at the time. But scientists don't seem to have reached a consensus on the global importance of the Little Ice Age (5), or whether it even should be categorized in this way. It is agreed, however, that from the 19th Century onwards, warming and glacial retreat have been the order of the day. Our understanding of the Sun's complex cyclical nature is probably not yet as good as it might be. There have been suggestions that we may face a new 'Maunder Minimum' in the 2030s (6). This may be a factor offsetting the more general trend of global warming, leading to a temperature dip in the Northern Hemisphere. So, it seems like we're living on something of a climatic knife-edge. There are multiple factors driving the Earth's climate, and several of them point towards a future Ice Age, at some point. Rising CO2 emissions seem to be pushing such a prospect further into the future than the regular glacial and interglacial cycles of the 'current' Ice Epoch suggest. Which could be understood this way: The global warming created by human industrial activity is actually preventing us from being plunged into an Ice Age, and perhaps we should be grateful for that. This thinking is non-PC. The problem here is that Science can sometimes behave like religion; creating dogmas and consensus opinions which individual scientists feel obliged to follow. As I listened to the scientist on the radio squirm under the 'common sense' questioning, I reflected upon this: With the media predator sniffing the air, the last thing the scientist wanted was to be separated from the herd. Atmospheric CO2 concentration (parts per million) over time. As noted in articles above, there have been a lot of scientific publications released this month relating to the hunt for 'Planet Nine'. What has been lacking is the hoped-for announcement of its discovery. As yet, there has not been a direct observation of this proposed planet, despite the endeavours of several international teams hungry to have their names written into the history books. In particular, no announcement from Drs Brown and Batygin, despite several nights spent on the Subaru telescope (1). In the war of attrition between rival camps hoping to solve the mysteries of the outer solar system, backers of 'anything-but-Planet-X' seem to have edged forward. My belief is that the object is larger, and more distant than the Caltech astronomers have posited (although they did seem to leave some room open for this possibility in their original paper (2)). 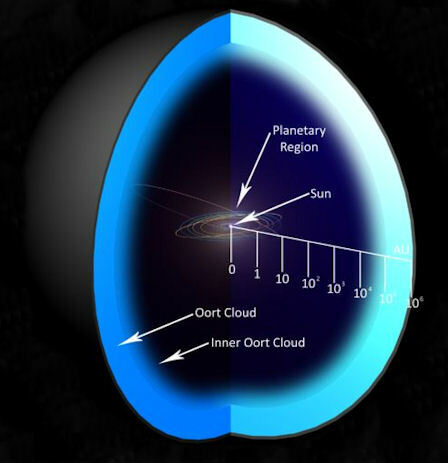 In which case, a substantial, distant Planet X body would be potentially affecting comets within the inner Oort Cloud, perturbing their orbits and periodically sending some our way. This thinking was used by earlier sub-brown dwarf researchers, who continue to hunt for a massive planet ~ 20,000AU distant in the outer Oort Cloud (3). "Further strategies involve examining Planet Nine’s own possible gravitational influence on a variety of other bodies. Astronomers Yuri Medvedev and Dmitri Vavilov at the Institute of Applied Astronomy of the Russian Academy of Sciences looked at 768 comets entering the solar system for the first time, noting five that might have came close to Planet Nine—whose gravity would have altered their paths—sometime in the past. This latest analysis hopes to further constrain the position of the Planet X body now so keenly sought (9). Perhaps re-visiting the previous work on non-random patterns of long-period comet orbits might be helpful? The truth might lie somewhere between Caltech's Planet Nine and Matese's Tyche. I'll be giving a talk in Cheadle, Manchester on Saturday, 28th January 2017 at 6:00 pm. The talk is to a group called "We are Change Manchester", about Planet X and the implications of its discovery upon the current paradigm.